Services and repairs 8 + hours costs $70 per hour. The minimum shop charge is $30. 50% deposits are required for any repairs or services $199 and up. Written detailed estimates are subjected to a $30 fee. When estimates are approved, the estimate fee will be credited towards the total cost of the repair or service. Appointments outside normal operating hours including weekends are subjected to availability and will cost an overtime rate of $120 per hour with a 1 hour appointment minimum. Weekend appointments must be scheduled 1 week in advance. Clients who miss scheduled appointments, without 24 hours prior notification, will be billed 1 additional hour of labor on their next service or repair bill. If a client misses or late cancels two appointments in a year, The Band Shoppe reserves the right to refuse any future appointment requests. 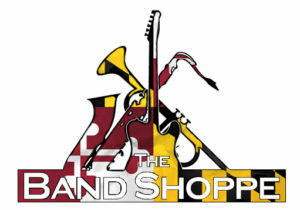 The Band Shoppe proudly supports our military, first responders and schools by giving 10% off labor, merchandise, accessories, or instruments purchased at The Band Shoppe. This does not include rental instruments, the purchase of rental instruments or the purchase of used consignments. Any discounts on repairs on repairs & services will only be honored if original appointment times are kept and paid in full within 5 business days of completion. Any instrument that is not picked up within 30 days of completion will be considered abandoned and will become property of The Band Shoppe. There are no refunds on labor or repair parts. Special orders for parts, supplies, and instruments must be paid in full prior to orders being placed. Special order returns will only be accepted if they are in brand new unopened condition and or have not been installed. If all conditions are met for a return the special order return will be subjected to a 25% restocking fee.